Here at Brightway, Ft. Myers South we provide the best insurance-buying experience and service available. For us, that means being trusted industry experts in the community and providing you with the most choice in insurance companies. Our team is led by Debbie Hubicki and Diane Haas, agents with more than 50 years of combined experience in the industry and a commitment to listening to their customers and putting their needs first. As a team, we take the time to develop a relationship with you so we really understand your needs. With more than 50 years of combined experience, Debbie and Diane know the insurance market in southwest Florida. They get to know their customers, and then they shop for the best Florida insurance rates and coverage to ensure they have the coverage that meets their needs at the best price possible. Both have their Property, Casualty and Life Insurance licenses. They enjoy staying involved in the Ft. Myers community by participating in Women's Council of Realtors and contributing to the Salvation Army. Originally from Connecticut, Diane has lived in Florida for more than 40 years. 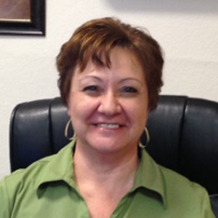 She is a 2-20 Property and Casualty and Life license, with more than 28 years experience in the insurance industry. This experience combined with a dedicated work ethic means that she is able to find the right policies for customers while saving them money along the way. Her goal is to help customers find the security, safety and value they are looking for. She acheives this by providing excellent customer service, expert counsel, and always being available to answer questions. 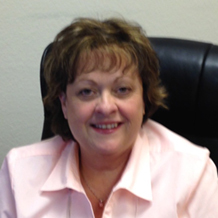 Diane enjoys staying involved in the Ft. Myers Community and contributing to the Salvation Army.